This book explores the Westminster Confession of Faith's claim that "there is no ordinary possibility of salvation" outside of the church by asking what it means, whether it is biblical, and why it is important. The author concludes that the Westminster Confession rightly stresses the role of the church in bringing people to salvation without making this claim absolute. We should love the church because Christ loved it and gave Himself for it. He died for the church so that we might live in and with it. Let us study this subject with our Bibles in our hands, the Spirit in our hearts, prayer on our lips, and our forefathers helping us along. Is believer's baptism the clear teaching of the New Testament Scriptures? What are the historical and theological challenges to believer's baptism? What are the practical applications for believer's baptism today? Volume two in the NEW AMERICAN COMMENTARY STUDIES IN BIBLE & THEOLOGY (NACSBT) series for pastors, advanced Bible students, and other deeply committed laypersons addresses these compelling questions. Indeed, Believer's Baptism begins with the belief that believer's baptism (as opposed to infant baptism or other faith proclaiming methods) is the clear teaching of the New Testament. Along the way, the argument is supported by written contributions from Andreas Kostenberger, Robert Stein, Thomas Schreiner, Stephen Wellum, Steve McKinion, Jonathan Rainbow, Shawn Wright, and Mark Dever. When the earliest Christ-followers were baptized they participated in a politically subversive act. Rejecting the Empire's claim that it had a divine right to rule the world, they pledged their allegiance to a kingdom other than Rome and a king other than Caesar (Acts 17:7). Many books explore baptism from doctrinal or theological perspectives, and focus on issues such as the correct mode of baptism, the proper candidate for baptism, who has the authority to baptize, and whether or not baptism is a symbol or means of grace. By contrast, Caesar and the Sacrament investigates the political nature of baptism. Very few contemporary Christians consider baptism's original purpose or political significance. Only by studying baptism in its historical context, can we discover its impact on first-century believers and the adverse reaction it engendered among Roman and Jewish officials. Since baptism was initially a rite of non-violent resistance, what should its function be today? ""In this wide-ranging discussion across New Testament texts, Alan Streett locates baptism in the context of and in relation to Roman power. He argues that baptism was a believer's sacramentum, a pledge of allegiance that sets up complex interactions with allegiance to Caesar and the imperial system. This is a significant and much-needed contribution to understandings of baptism."" --Warren Carter, Professor, Brite Divinity School at Texas Christian University ""Centuries of comfortable Christendom have tended to domesticate baptism to a benign religious ritual entirely at home within the empire. 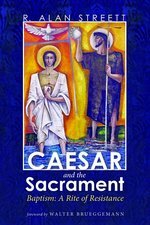 But Caesar and the Sacrament awakens us to the true radical nature of Christian baptism. Alan Streett's latest book is an important and timely work that calls Christians to live out their baptismal identity in fidelity to Christ and resistance to empire."" --Brian Zahnd, Pastor, Word of Life Church, St. Joseph, Missouri ""Alan Streett's fascinating Caesar and the Sacrament places the meaning and practice of baptism in early Christianity into a full and nuanced context . . . Streett's carefully researched and well written book joins a number of other studies that have appeared in recent years rightly underscoring the importance of knowing well the Roman world in which Jesus and his movement emerged."" 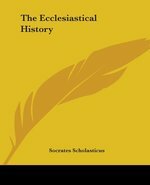 --Craig A. Evans, Professor of Christian Origins, Houston Baptist University ""In this bold, comprehensive, and compelling study, Alan Streett makes a convincing case that the earliest Christians understood baptism as their pledge of allegiance to Christ and his kingdom, which involved renouncing all other allegiances . . . when most view baptism as nothing more than an innocuous 'religious' sacrament, it would be hard to overstate the importance of digesting this remarkable work."" --Gregory A. Boyd, Senior Pastor, Woodland Hills Church, St. Paul, Minnesota ""Streett does nothing less than show that the understanding of baptism in Constantinian Christianity that privatized and spiritualized baptism was a gross misinterpretation that we, at the end of Christendom, may now unlearn. One may hope that Streett's study will awaken the church to the wide and deep accents of baptism that is both a gift from God and mandate to an emancipated transformed public life."" --Walter Brueggemann, Professor Emeritus, Columbia Theological Seminary R. Alan Streett is Senior Research Professor of Biblical Theology at Criswell College, Dallas, Texas. He is author of Subversive Meals (Pickwick, 2013). 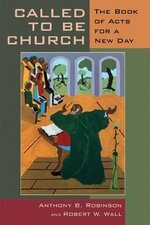 Biblical scholar Robert Wall and pastoral leader Anthony Robinson here join forces to bring the Acts of the Apostles forward to our time as a resource for congregational renewal and transformation.Featuring both careful exegetical study and exciting contemporary exposition, the fifteen chapters of Called to Be Church each first interpret the text of Acts as Scripture and then engage Acts for today's church. 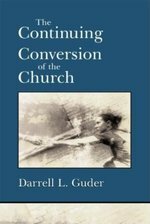 The book dives into many of the most vexing issues faced by the church then and now -- such issues as conflict resolution, pluralism and multiculturalism, sexuality, money, church and state, the role of the Holy Spirit, and more.Enhanced by study questions at the end of each chapter, Called to Be Church will lend itself especially well to small-group study within congregations. Pastors, lay readers, students, and ordinary believers alike will find the book helpful and inspiring. The Church in God's Program is a biblical study covering the entire scope of the church - its beginning, government, ministries, and the new covenant. n The Communicant's Spiritual Companion, Thomas Haweis (surname rhymes with "pause") has provided us with a practical and heart-searching manual for determining who is a worthy participant of the Lord's Supper. After helpfully considering what a sacrament is, Haweis outlines the twin dangers of either neglecting or thoughtlessly partaking of this ordinance. As Haweis makes clear, a participant who profits from the Lord's Table is one who has "found acceptance with God through the righteousness of the Savior, and . . . experienced the mighty power of His grace on their souls." Western society is now a very different, very difficult mission field. In such a situation, the mission of evangelism cannot succeed with an attitude of -business as usual.- This volume builds a theology of evangelism that has its focus on the church itself. Darrell Guder shows that the church's missionary calling requires that the theology and practice of evangelism be fundamentally rethought and redirected, focused on the continuing evangelization of the church so that it can carry out its witness faithfully in today's world. In Part 1 Guder explores how, under the influence of reductionism and individualism, the church has historically moved away from a biblical theology of evangelism. Part 2 presents contemporary challenges to the church's evangelical ministry, especially those challenges that illustrate the church's need for continuing conversion. Part 3 discusses what a truly missional theology would mean for the church, including sweeping changes in its institutional structures and practices. Written for teachers, church leaders, and students of evangelism, this volume is vital reading for everyone engaged in mission work. Gaining form and momentum over the second half of the 20th century, the Church Growth movement has become an enormous shaping force on the Western church today. You may love it, you may hate it, but you can't deny its impact. But what exactly is Church Growth? In what ways has the movement actually brought growth to the church, and how effective has it been in doing so? What are its strengths and weaknesses? This timely book addresses such questions. After providing a richly informative history and overview, it explores--in a first-ever roundtable of their leading voices--five main perspectives, both pro and con, on the classic Church Growth movement: -Effective Evangelism View (Elmer Towns)-Gospel in Our Culture View (Craig Van Gelder)-Centrist View (Charles Van Engen)-Reformist View (Gailyn Van Rheenan)-Renewal View (Howard Snyder)As in other Counterpoints books, each view is first presented by its proponent, then critiqued by his co-contributors. 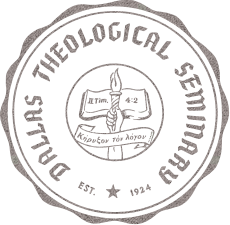 The book concludes with reflections by three seasoned pastors who have grappled with the practical implications of Church Growth.The interactive and fair-minded nature of the Counterpoints format allows the reader to consider the strengths and weaknesses of each view and draw informed, personal conclusions.The Counterpoints series provides a forum for comparison and critique of different views on issues important to Christians. Counterpoints books address two categories: Church Life and Exploring Theology. Complete your library with other books in the Counterpoints series.